We have some recommendations that will have your tastebuds singing. No matter what you’re in the mood for, one of our partner restaurants is sure to have just the thing. So pick a menu and get ready for a memorable culinary experience in a one‑of‑a‑kind setting. * Rebates are on food only. In a building dating from 1848, The 3 Brewers always brewed on site beer made traditionally, with fresh and simple ingredients. White, blonde, IPA, brown or amber, let us advise you on the selection offered! Perpendicular to St-Jean Street, it is part of the night scenery of one of the busiest areas of the city. Mi Half pub, half-bar, it is a small space that welcomes people to watch jazz performances on Thursdays, Fridays and Saturdays. A choice of 35 varieties of imported beers or Quebec microbreweries and a card of about 50 cocktails is also available; enough to discover the pleasures of wine tasting! Belga is proud to be the first brewery in North America to offer beer to its customers from Haacht Brewery. Founded more than 120 years ago in Belgium, Haacht Brewery is a state-of-the-art brewery, inspired by the past but more than ever looking to the future. In this family brewery, the love of beer is passed on from generation to generation. Bistro Sous le Fort is more than ever the place for fine unpretentious cuisine. Discover a menu where homemade fish’n chips, ginger and rootbeer spareribs, sweetbreads with oyster mushrooms keep close with red deer medallion and blueberries or camembert chicken. Whether it’s for an early evening cocktail or a meal with friends, you will be surprised by the variety of tapas: from the classic salmon tartar bruschetta to the original fried risotto with melted Migneron cheese. You would rather enjoy a hearty full course meal? Choose the grilled veal flap steak with shallots on a smoked bacon potato cake or the delicious duck leg confit. 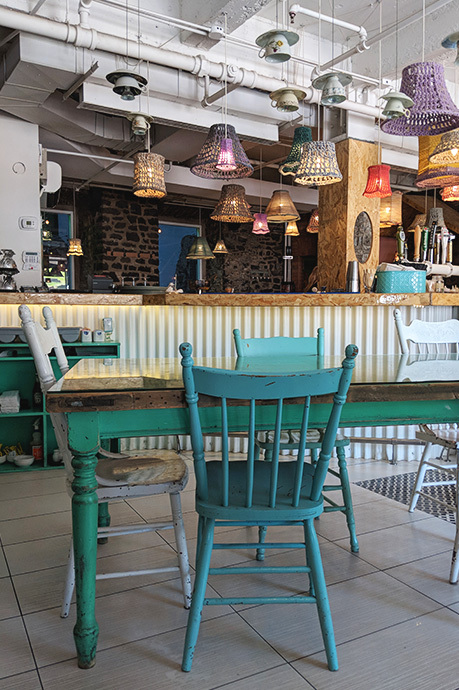 An urban restaurant with a Zen vibe awaits you at the Cosmos in Old Québec City. Whether it’s for a delicious breakfast with a heavenly fruit juice, a quick lunch with a variety of gourmet sandwiches, or to enjoy one of the many main course dishes, this restaurant on Grande Allée Street will satisfy every appetite! The bar, a must for a happy hour in the city, is a great place for any kind of occasion that will welcome you with its friendly environment. Traditional Québécois cuisine reinvented. From revisited Sheppard Pie, to pork stew, to meat pies, everyone will find something for it. Their culinary team has created an eclectic menu: delicious pizzas, flavourful pastas, refreshing salads, creative meat dishes, gourmet seafood and fondues. Savor the friendly relaxed atmosphere in the cozy restaurant or under the umbrellas of the most popular terrace in town with its magnificent view of the Parliament buildings and the surrounding parks and gardens. Nelligan’s is more than a neighborhood pub. It is the authentic Irish pub in Quebec, a real institution. You can easily savor whiskeys and scotches both rare and unique, a wide selection of Quebec, Canadian, Irish and imported beers. The gourmet bistro Tournebroche specializes in the art of the rotisserie and also offers authentic Quebecois specialties with a new twist, including the Tournebroche shepherd’s pie, wild boar pate, pudding chomeur and maple sugar tart. With a reputation built over 30 years, the Louis-Hébert has become a popular dining destination on Grande Allée Street. Guests are welcomed in a contemporary styled dining room, where Chef Hervé Toussaint and his team serve regional cuisine with French influences, augmented with market fresh arrivals. You’ll be hard pressed to choose among the lobster stew, seafood, verrines, foie gras and the best quality game meats! Experience an incomparable culinary event amid stunning décor, never before see in Old Québec. Discover the best of sea: lobster, scallops, clams, shrimps, Alaskan crab, sea amid stunning décor, never before see in Old Québec. Inspired by the building itself, which served as the headquarters of the political party l’Union Nationale for several years, owners chose the name “Le Pot de vin” to a wink to Duplessis’ unorthodox methods he took to achieve his ends. On the menu, Le Pot de vin offers beautifully executed bistro cuisine inspired by the seasons and chef’s inspiration. When ordering, you may probably hesitate between mouth-watering dishes such as pan-fried scallops with saffron sauce and Amaretto, salmon with mashed beets or the Wagu tataki (Japanese beef) with ginger emulsion. 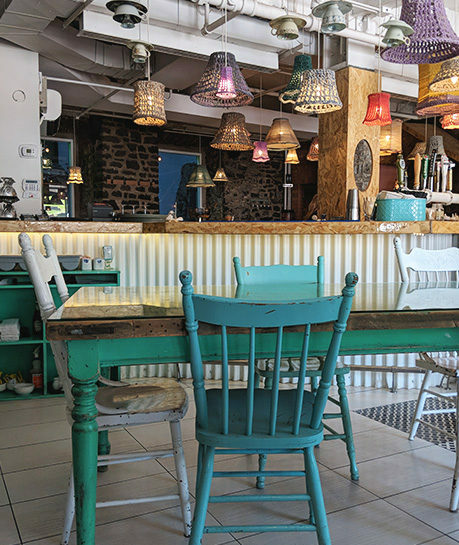 Located in the heart of the Quartier Petit Champlain, Q de Sac offers a menu to Québec flavors in a warm setting that looks like a shack. Their Chef gives forefront to quality local products and is seduced by the wood stove to prepare delicious pieces of meat and delicious pizzas. To complete the experience, Q-de-Sac offers a menu of tasty beers 100% Quebec wines and 100% Canadian. Le Casse-Cou has been a restaurant of the Quartier Petit Champlain since 1984. It serves its customers a family-style cuisine in a warm atmosphere. Whether it’s for a little craving or a need to eat quickly, this establishment on two floors, will satisfy your desires. This authentic Chinese restaurant located on Buade Street, in Old Quebec, offers lunch and dinner to travelers and passers in need for eastern flavors . Constantly renewing its menus while paying careful attention to the quality and freshness of its products, Yuzu ensures there’s no compromise in the taste. Quality, innovation, refined cuisine, urban decor, and an impeccable service are all a part of their values and knowledge.